Hey there, KERF readers! I am a long-time fan of Kath’s blog and I’m excited to have the opportunity to be a guest poster today. When I contacted Kath about writing something for KERF, I thought my job as a school dietitian would be a great topic to talk about. I started working in school nutrition when I was fresh out of college and had absolutely zero food service experience. 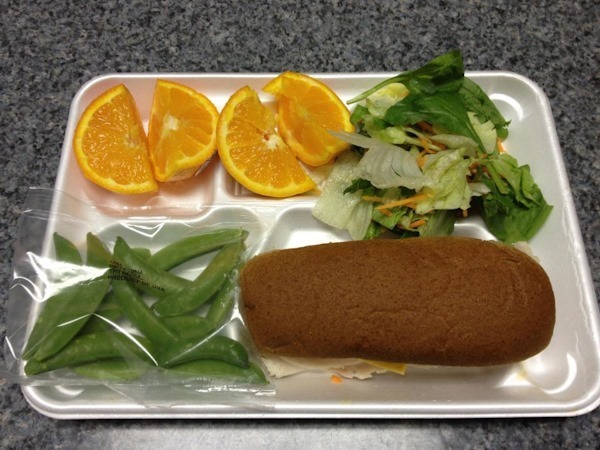 Like many people out there, my perception of school meals was not the best… chicken nuggets, pizza and ranch dressing were the first things that came to my mind. I had NO idea what went into planning menus and running a school food service operation. Now that I have worked in this field for six years, I have truly been humbled by all of the work that goes into managing a school kitchen. If you’re interested in reading more about USDA meal requirements, here’s a great resource. Like many school systems out there, I enter every single menu item and ingredient that we use in our recipes into nutrient analysis software that I keep updated throughout the school year. I use this data to “build” menus within the program, and these are then used at the school level to print forms, scale recipes and create shopping lists for weekly food orders. Literally every single item, even a ketchup packet, is kept in this database. Using a system like this greatly improves the overall efficiency of a food service department, which results in a better operation for students and staff. Choosing a new recipe to test usually starts with me browsing the internet and finding a regular recipe, just like what you would make in your kitchen at home. I take this recipe and adjust the ingredients and portion sizes to fit within our guidelines. 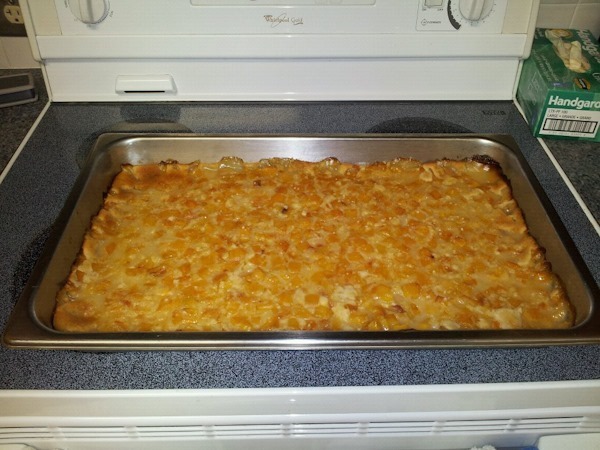 Once I have double checked the nutrition profile and cost of the recipe, I will typically test it out in the office. If the product comes out well then it’s time to test it with the students! I love involving students in anything that I can. I have worked with all types of special dietary needs throughout my career, including allergies to nuts, milk and dyes, lactose intolerance, celiac disease, and phenylketonuria. Having a special dietary need can make students feel isolated and scared, so my overall goal is to make them feel 100% comfortable and safe during breakfast and lunch. Food safety is something that school kitchens take very seriously and they go above and beyond to make sure food is safe for students. In my state, kitchens are required to have someone ServSafe certified on staff at all times and they are inspected by the health department regularly. I help with monitoring food safety and sanitation in the kitchens and maintaining our HACCP plan. I am also a certified ServSafe instructor and exam proctor. How does nutrition affect a student’s behavior and academic performance in the classroom? What will sway students to pick up more fruits and vegetables? How can “popular” items be made healthier? Should flavored milk be offered in schools? These are the types of questions I’m always asking myself. I try to stay up-to-date on topics related to my job by following research and publications from the School Nutrition Association, The Academy of Nutrition and Dietetics, the American Academy of Pediatrics, and the Dietary Guidelines for Americans. Cornell University’s Smarter Lunchroom Movement also has some really great research. There are a lot of challenges that schools are facing with new meal requirements and rising food costs. Nutrition programs basically operate like a business because they support themselves financially. There is a very fine balance between making students happy, offering healthy meals, meeting meal requirements and selling enough meals to break even financially. Despite these challenges, I really love working in my field. It’s fast-paced and I’m never bored. I’ve been lucky to always work with staff members who work so hard… preparing and serving hundreds of meals within a few hours is not easy! Above all else, I know I am making a difference in children’s lives because some students do not get a hot meal outside of school. 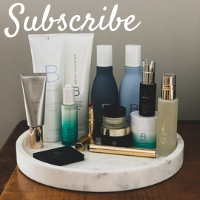 Thanks so much for reading my post today! Feel free to email me at [email protected] if you have any questions about school nutrition. 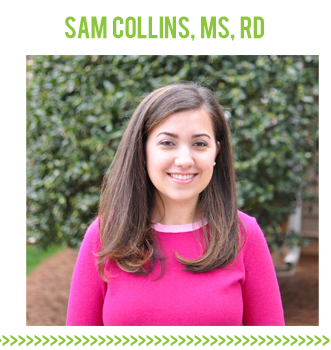 Sam Collins, MS, RD is a 28 year-old registered dietitian living in North Carolina. She is a graduate of Virginia Tech and has worked in school nutrition for the past 6 years. In her free time, she enjoys music, reading, riding her bike on the greenway, cheering for the Hokies, and spending time with her husband and two dogs. Sam also has a nutrition and lifestyle blog, Grapefruit & Granola. If I had a ‘do over’ in life I’d love to look into being a dietitian. Your job sounds like it’s so much fun, and very rewarding! I’m happy to see you work in a district that still prepares their own food. So many schools these days use pre-made, processed foods that are just horrible, and that makes me so sad. I loved this post! I find school nutrition so interesting. You have such a difficult job, but I’m glad to read that you find it rewarding. School lunch is critical to so many children in the country! This was a really interesting read since school nutrition is SO important! Not only is it what a lot of kids eat for 2 meals out of the day, but sometimes it’s all a kid eats during the day based on their poverty status. I always wonder about how things are different at different schools, I know a friend of mine who is a teacher and if her student is vegetarian they are literally served a piece of cheese on a bun in place of a hamburger. Seeing your point of view, however, shows me how difficult it can be to balance all the needs of the kids, what they actually want to eat, and how much food costs. Thanks for sharing your perspective! 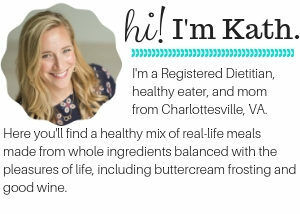 Hi Katie- it’s unfortunate that the vegetarian options at your friend’s school district are limited. I know peanut butter used to be a popular vegetarian protein option but many school districts are going nut-free due to allergies. There are other options, though, like yogurt and beans. Interesting look into this world! I imagine that the experiences of school dietitians can be vastly different over the country, with different budgets, regulations, and students. It’s wonderful that you get to develop recipes with fresh food and involve the students. I love your passion,but school lunches are notoriously…not great. 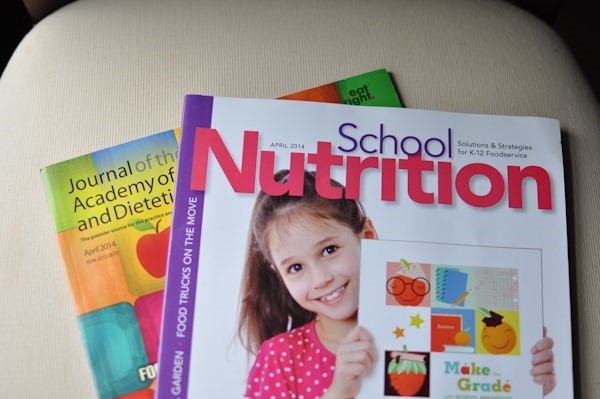 Are there School Dietitians at every school or does it vary state by state and county by county? My son is in high school here in the DMV and he says most kids typically buy from the “a la carte” menu because the meals are so sad. He’s described some some really janky meals with no nutritional value at all. One meal was something like hot dog buns with melted cheese being sold as “garlic bread” with a side of fries. Yeah, I don’t think we have school dietitians up here. LOL Needless to say, he brings his own lunch. Haha. I love her efforts! And by “too nutritious” I mean it’s so healthy it’s bland and unappealing. There are a ton of nutrition standards that cafeterias can’t get around – and sometimes that means it’s just veg, protein and starch from a can and onto a plate. Hi Tonya! School systems are not required to hire RDs but it is becoming more and more common with the new (complicated) meal pattern. I worked in Virginia for 3 years and there seemed to be less RDs at that time. In North Carolina, however, I would say that the majority of the school systems have an RD in their food service department. Some states actually use food service management companies in schools, so everyone is different. In regards to your son’s school, meal planning for high schoolers is really tricky. There is a fine balance between planning meals students will like, meeting meal requirements and staying within budget. 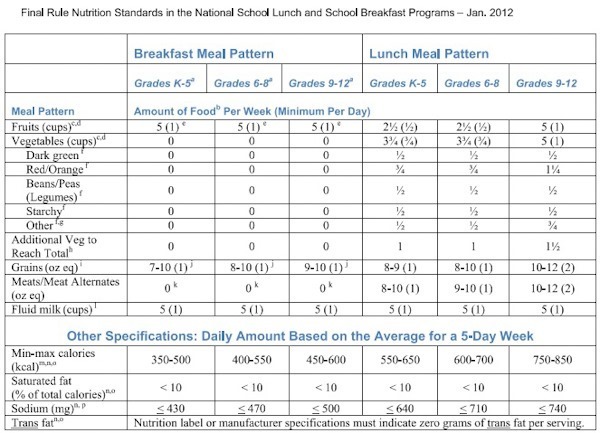 All schools have to follow the same guidelines (whole grains, offering vegetable subgroups, etc. ), though. Fries might be offered but there are definitely green and orange vegetables available as well if the school system is following the guidelines. Now whether the kids pick those items up is another story 🙂 Also, I know many school food service departments enjoy speaking with parents and receiving feedback. If you have any questions or concerns then you should reach out to them! I understand your role and the established guidlines for school meals. However, are there any regulations in place for purchased a la carte items? To my knowledge those purchased items are not regulated or monitored in any way and due to the money it makes for the schools i realize school are hesitant to cut back on the (not healthy) selection of items that sell well…. Thanks for sharing about your job. I am about to go back to school to get my Dietetics degree/RD and never even thought about working in a school. I imagine that with rising food costs it is becoming increasingly challenging to feed kids well. Great job! I’m a high school teacher in an urban environment with nearly all my students getting free lunch. How does the budget work if your school does not have ala carte or any paying customers? Also, there is NO way the meals they serve at my school are 750 calories. I’ve never seen one that could be more than 500. A single small slice of pizza and a few florets of broccoli or a half cup of iceburg lettuce and a chocolate milk. A fish stick between two pieces of bread and approx. 10 quarter sized sweet potato discs and milk. The meals are woefully undersized for teenage boys. What is the oversite like for compliance with USDA regulations? Schools go through a week-long administrative review every 3 years. Are the meals you are describing what is being offered to the students or what is being picked up? Schools are required to offer specific servings but students don’t have to pick everything up. So for example, we offer 1 entree, 2 fruits (1/2 C each) and 2 vegetables (1/2 C each) and 1 milk. As long as students have 3 food groups on their tray and one of them is a fruit or vegetable then we are in compliance. My experience is that high schools generally do not pick up everything that is offered to them. Could that be what is going on in your schools? I loved this post!! So interesting. Interesting topic! Takes me back to my internship days 🙂 Love the guest RD posts! I’m glad to see there are other Hokie Dietitians out there doing great things! Actually, no, that’s not true! I definitely still consider milk to be a healthy food. Hi just found this article via Google, and I really enjoyed it! 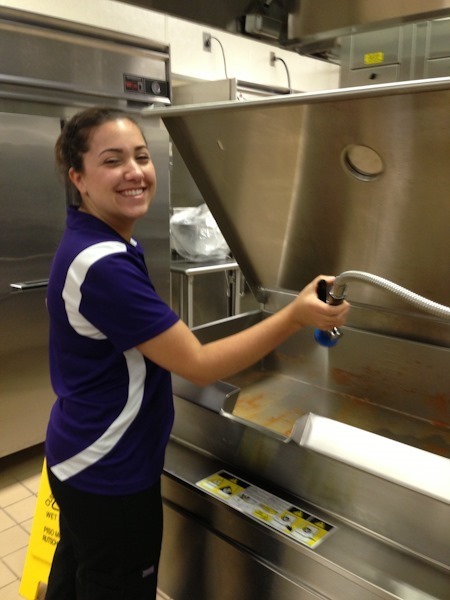 I’m a DTR interested in working in school food service, and had been trying to find out how to get started. The websites Sam mentioned in the article are great starting points. Thanks again!